I've been using Roll20 pretty much from release. Although I use Fog of War to reveal the map for the players, I really haven't used tokens. I'm tempted to change that in the future. 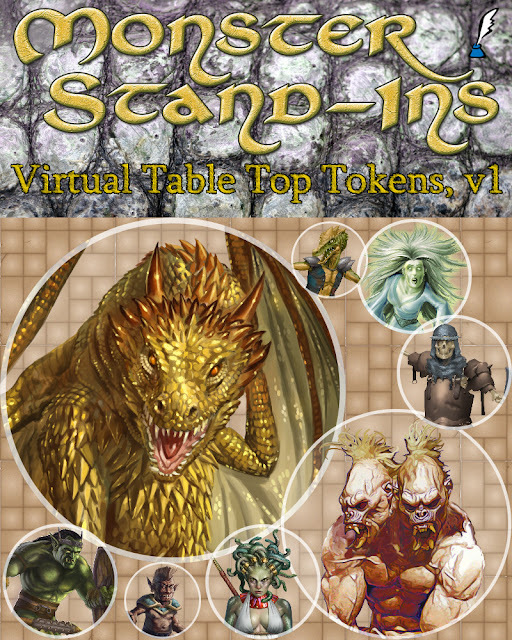 Monster Stand-Ins Virtual Table Top Tokens v1 is from Inkwell Ideas. If you don't know Inkwell Ideas, you probably know Hexographer, one of the easiest to use mapping programs in the hobby. Well, Inkwell has also published stock art and related projects, so VTT Tokens should be a perfect next step for them. 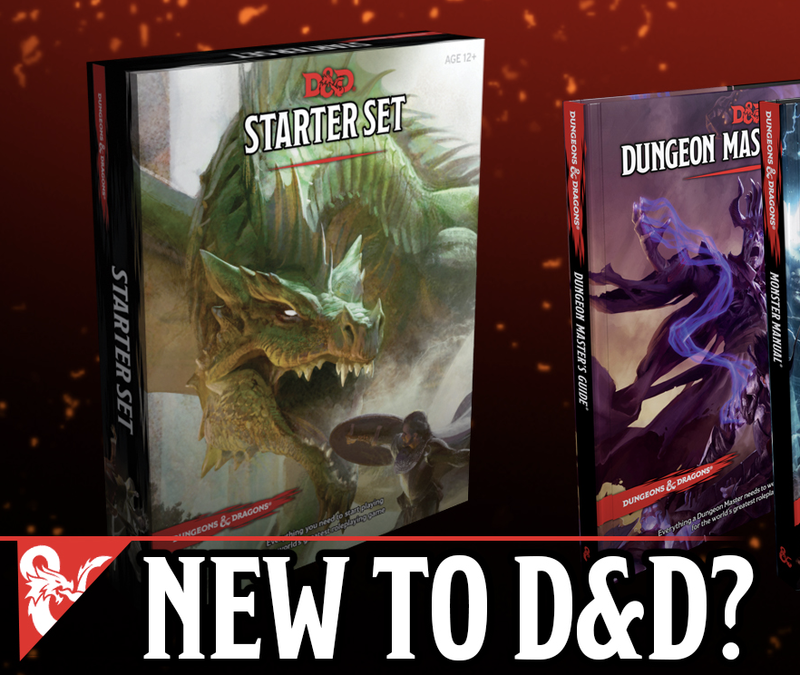 With Monster Stand-Ins VTT Tokens v1, you get over 80 monsters with over 130 different images for $2.95. That's a huge amount of bang for your buck. So yeah, very tempted to spend a few bucks and start using minis, er... I mean TOKENS in my upcoming Swords & Wizardry Light sessions. My regular gaming group, which in one form or another has been gaming most Saturday's since the Friends & Family D&D Next Beta, has had one gaming session since the summer began - and we are halfway through the fall. I'll also be resurrecting the Friday Night "B" Team, where my 2nd group gets together for some S&W Light madness (we used Swords & Wizardry Complete before, but having two groups playtesting new material for Light will be wonderful). That won't re-kick until next month at best. The "B" Team is usually once a month and its a small core of players, so we may be open to drop ins. As this is their first notice of the impending resurrection, we'll discuss that more at a later time. The Saturday night group will be more sandboxie in nature. As the Friday group will only be playing once a month, more or less, and will be a bit more structured. 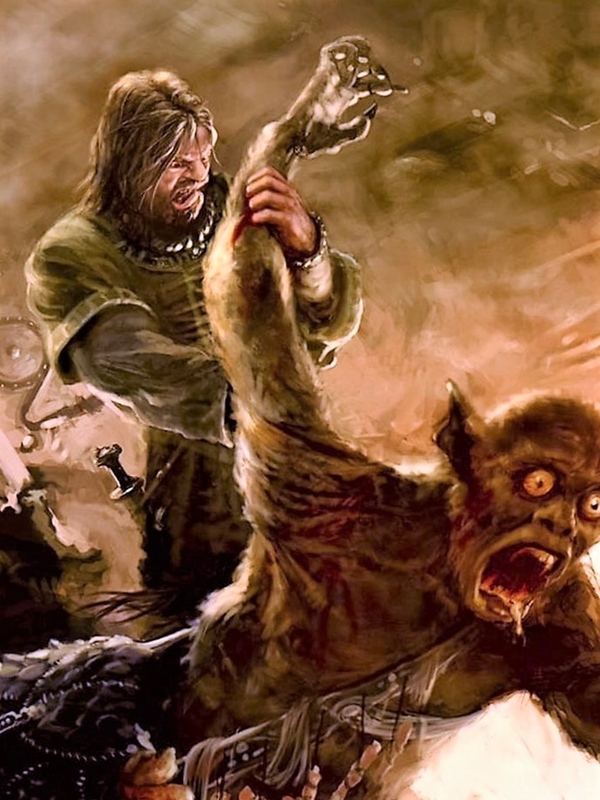 Then in the late spring I plan on running some Swords & Wizardry Light at Legendary Realms out on Long Island. To be honest, I'm not sure if I'm going to back This Defiant Earth, but it certainly deserves a close look. I grew up a child of the 70s, and my after school babysitter was the 430 Movie. A staple of the 430 Movies was bad scifi from the 50s, and when I say bad scifi from the 50s, I mean that in the best way possible. The Blob still gives me nightmares. 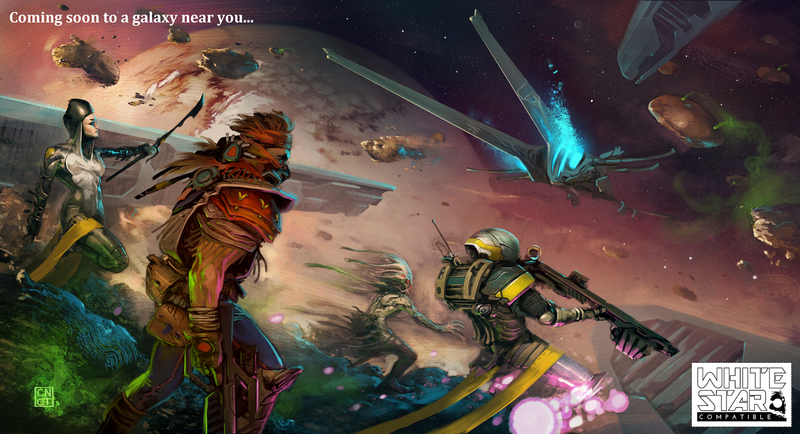 So, an RPG that is specifically made for that crazy style of 50s scifi certainly grabs my attention, as does the art. The author used to draw comics for a living and it shows. His art is perfect for the genre. 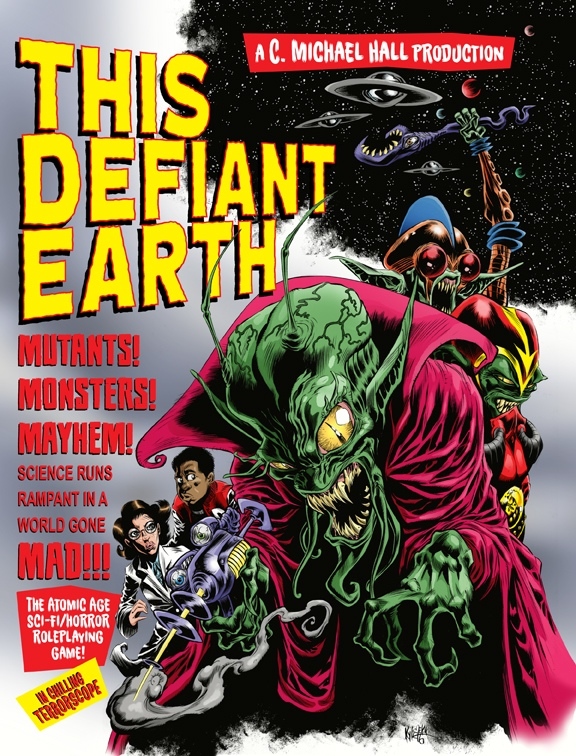 THIS DEFIANT EARTH is a roleplaying game set in a universe inspired by the popular imagination of the 1950s: an Atomic Age dreamscape as envisioned by television, cheap paperback novels, comic books, and above all, movies. In this world, the American Dream is alive and well, but threatened by monsters from the deep recesses of the Earth, alien flying saucers, and sinister foreign agents pledged to destabilize the American way of life with super-advanced technology. Players take on the roles of America's noble defenders in these thrilling but dangerous times! It's up to you, dear reader, to stop the horde of gargantuan ants before they establish a colony in the heart of New York City. It's up to you to thwart the sinister plans of Kro-Gar, the conqueror from space. You will test-pilot rockets, fight monsters, challenge unknown landscapes, and make the world safe for freedom and democracy. You will stand a champion of…THIS DEFIANT EARTH! THIS DEFIANT EARTH is rules-lite, so it's easy to learn and play. 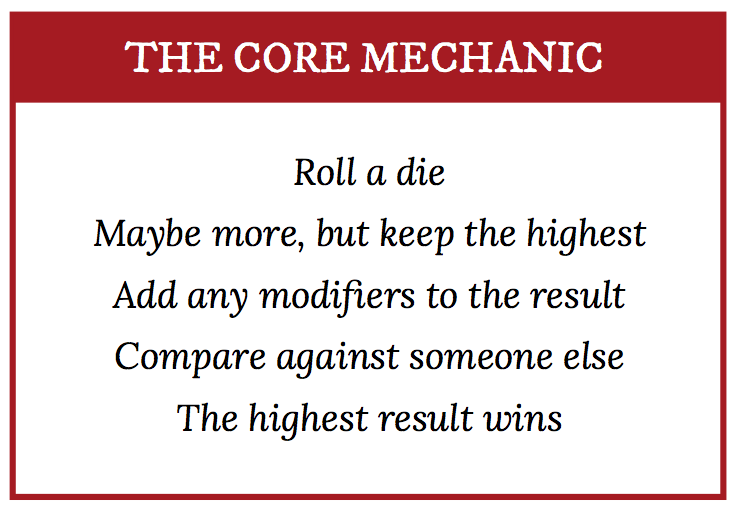 At the heart of the game's mechanics is a simple task resolution system based on rolling a pool of six-sided dice and counting the number of fives and sixes rolled. Each five or six is a success; match or exceed the required number of successes, and your action succeeds. Roll too few successes, and your action fails. It's as simple as that! 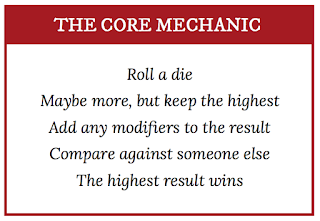 There are some other variables to consider, of course--mostly situational modifiers--but those are the basics. This Defiant Earth has met its minimum funding goal with 18 days left to go, so it should hit some stretch goals. I really like the concept, I just don't think my group would actually play it. To tell you how under the weather I've been for the last two weeks or so, the latest episode of the Old School Blues Podcast released over a week ago and I've only thought of sharing it out now. Yeah, it's been that kind of a month so far. 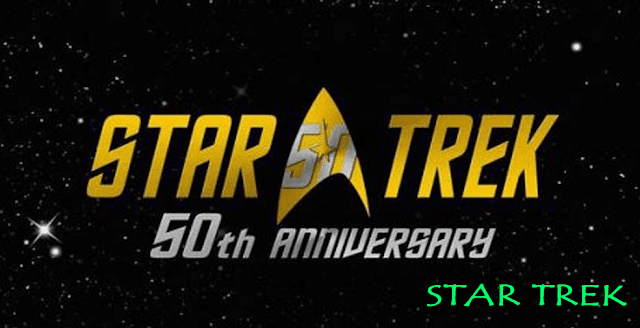 Episode Five of OSB we talk about Star Trek RPGs. There have been so many different versions of Star Trek RPGs from different publishers, I really should do a post about it. Its been a while since I've touched upon StarSlinger, the western SciFi setting I was working on for White Star. Swords & Wizardry Light sort of took precedence and then some. Now, I'm not sure if I've discussed this, but my original thought for what became StarSlinger didn't involve SciFi as much as lighter than air ships and a solar system with three inhabitable planets. 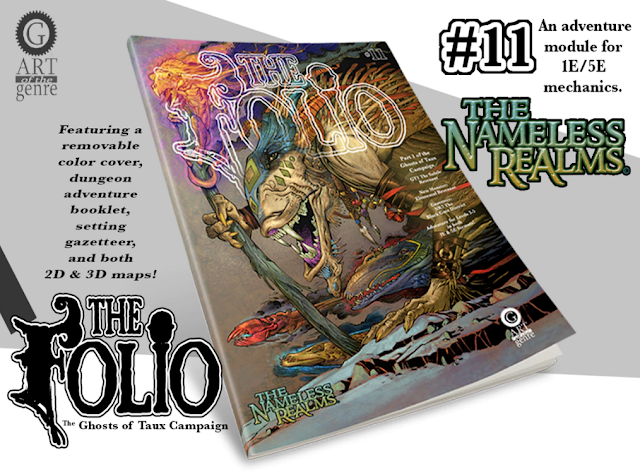 Inspired by Spelljammer and Calidar as much as from spaghetti westerns and Firefly, all wrapped up in more or less traditional fantasy. I think I'm going to revisit that idea in a series of one sheets. Yes, its the wrong box. Do you know how much wood grained goes for these days on eBay? 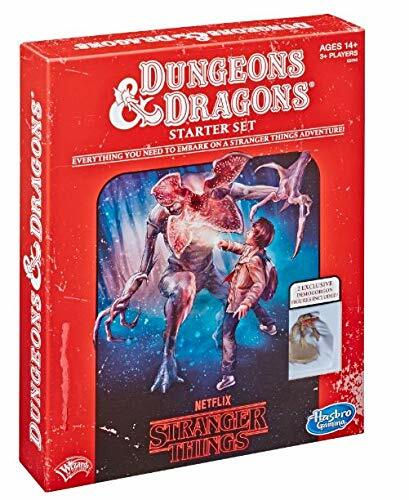 Dungeons & Dragons has entered the Toys Hall of Fame. Heck, Time Magazine has an article on it. D&D wasn't alone, either. The Swing and Fisher Price Little People also made the cut. "The tabletop role-playing game that gave rise to World of Warcraft was created in 1974 by Gary Gygax and Dave Arneson during a time when TIME credited the game for creating “a new genre of entertainment” that “encouraged teamwork to succeed” and inspired TV shows, films, online imitators and even an audiobook narrated by Ice-T."
There's more to read about Dungeons & Dragons and what Time Magazine wrote about it a few years after it came out. Go and read it. Its short but informative. Link to the Toy Hall of Fame. Today's Deal of the Day is a comic book. More accurately, its the first eight issues of Dungeons & Dragons Forgotten Realms Classics Vol. 1. Coming in at 210 page, this graphic novel is $2.99 (normally $4.99) for the next 17 hours or so. Comes in both PDF and EPUB versions. +James Spahn has releases this teaser piece of art for a new White Star release. 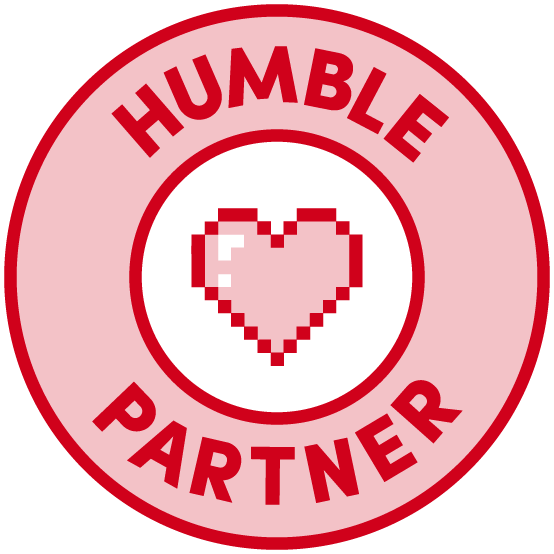 While I MIGHT have some idea of what is in the works, I PROBABLY have been sworn to secrecy. Because if I weren't, I'd be gushing. 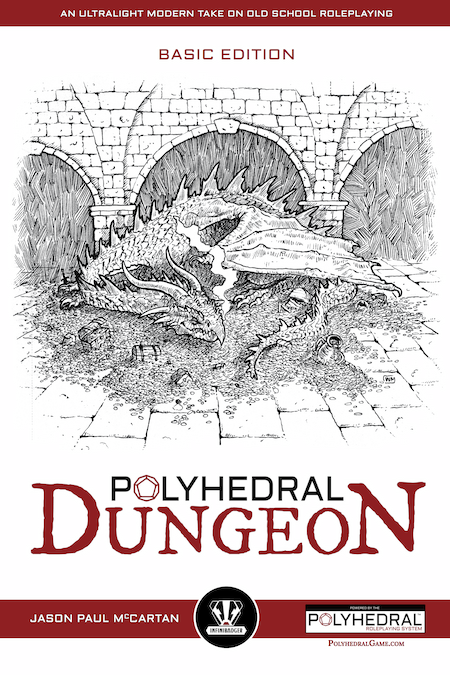 Polyhedral Dungeon - normally $4.99 in PDF, for the next 16 hours is just $1.99. SC plus PDF is $5.99 and HC plus PDF is $7.99. Those are excellent prices for a 50 page release. What can I say about Polyhedral Dungeon? 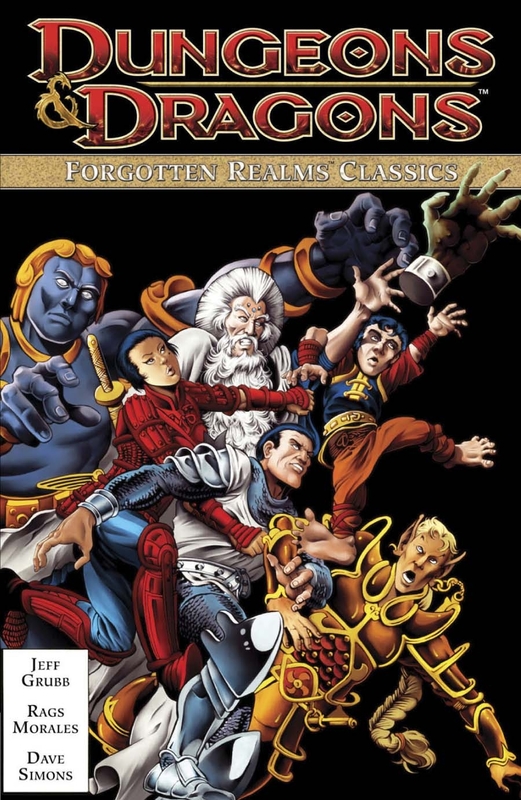 Its the rare non-OSR RPG that I grokked right off the back, but that's probably because of its old school sensibilities. Its a damn good game and plays well (I know, I've played it) $1.99 is a steal. Disclaimer: The Badger / +Jason Paul McCartan is a good friend of mine. He writes games and adventures. He's pretty good at it and Polyhedral Dungeon is possibly his best work yet. 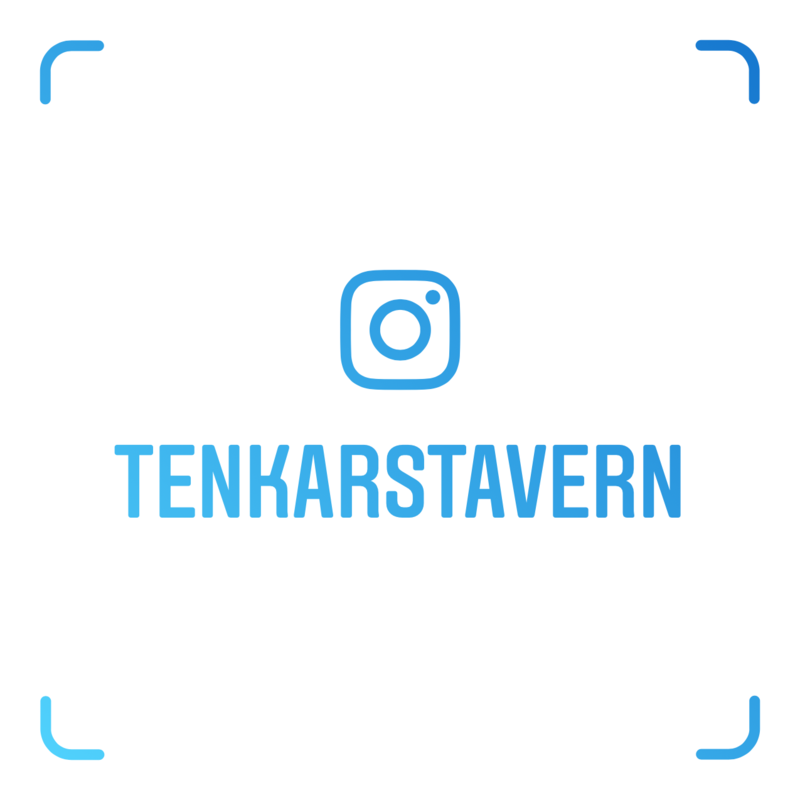 Yep, tonight is a Wednesday night, and that means another Tavern Chat. We all know the US Presidential was yesterday and I'm sure the results will be on everyone's lips. No political talk tonight folks. Sorry. It always turns into a sordid mess. We may talk a bit about Mazes & Perils Deluxe along with the usual scattershot of topics. 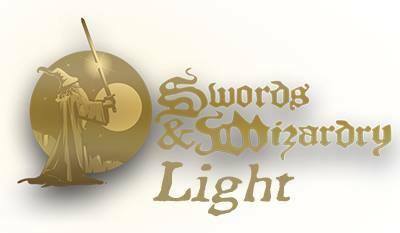 I'll also filed any questions one might have about Swords & Wizardry Light's recent release and current plans for its future. So, join us in that little chat box on the right side of the page. You can use just about any social media platform to log in. Somehow this escaped my notice earlier. 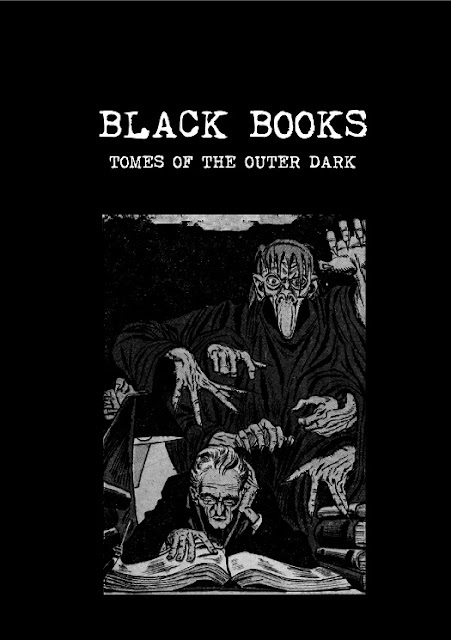 Black Books: Tomes of the Outer Dark is an OSR Mythos themed game. It looks like its pretty much CoC, but with OSR sensibilities. Haven't read it yet, but for a $1.50 I don't see how one could go wrong picking it up. Black Books: Tomes of the Outer Dark is an OSR investigative horror role-playing game where the player characters are ordinary people (historians, detectives, scholars, artists etc.) 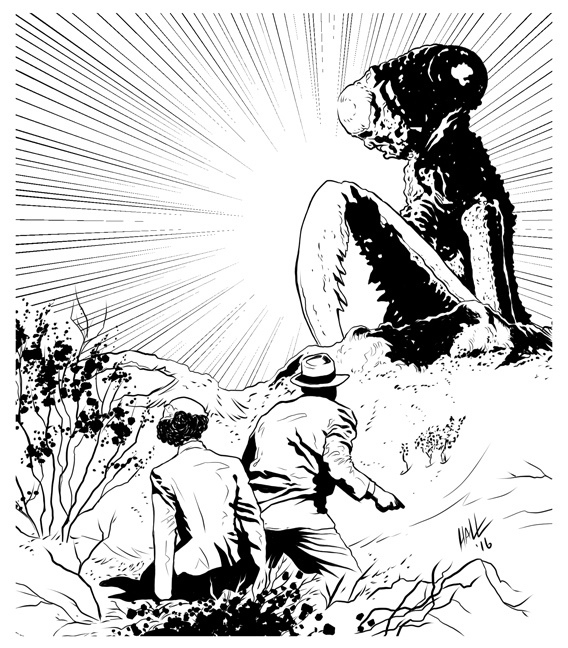 drawn into a dark and horrific version of our world - the world of the Cthulhu Mythos. As the investigators learn more of the true horrors of the world and the irrelevance of humanity, their sanity inevitably withers away. The rules are biased towards playing in the 1920’s although there is no reason these rules can’t be adapted to other time periods. 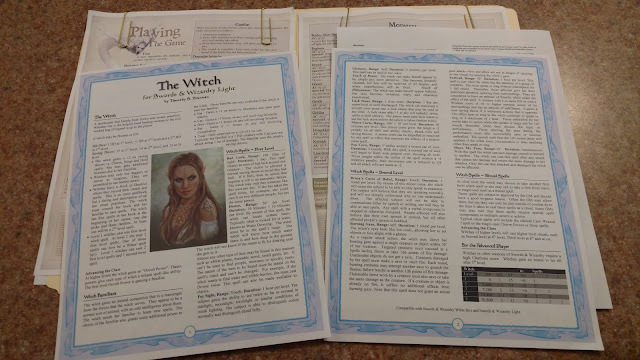 The rules are familiar - they use a D20 for most actions - and the games is class based, with 5 investigator classes - Charmer, Enforcer, Sneak, Scholar and Spiritualist. If you like old school gaming and you like horror, this might well be the game you're looking for! Its nice to get recognized outside of the OSR circle and even nicer when that recognition is in print. A tip of the hat to the Taverner that pointed this out to me. Legendary Games has a bundle of 5e releases aptly named 20 for 20 - 20 PDF products for 5e with a total value of over $100 for 20 bucks. It includes adventures, bestiaries and more. 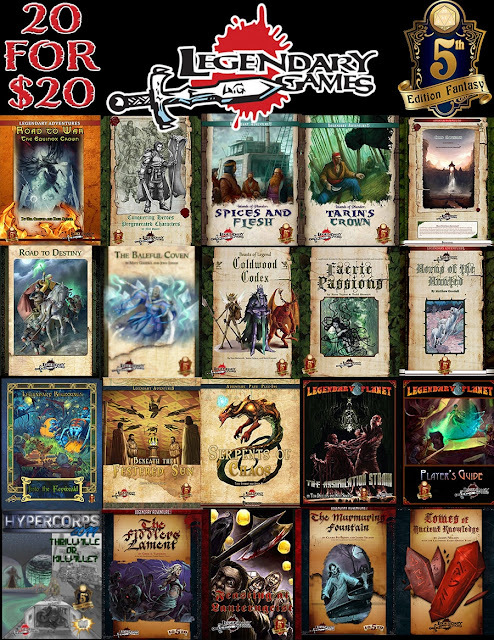 "Incidentally that is also the time frame when design assignments are supposed to go out for the Lost Lands Campaign Setting boxed set that we're Kickstarting next June"
The upcoming Lost Lands Campaign Setting Boxed Set hasn't been so much a secret - I've heard rumors and rumblings of it for nearly a year, but this IS the first time I've seen a date associated with the launch of its Kickstarter. I really enjoy reading all the material that's been set in the Lost Lands thus far and a boxed set for the setting just makes me feel all warm inside. I'll be on top of this upcoming project and I'll update when I know more. edit: here's the update - June 2017 is "tentative"
Before I talk about the Dungeon Grappling RPG Supplement Kickstarter, let me talk about the man behind the project, +Douglas Cole . I've known Doug for a couple of years. I was one of his earlier Youtube interviews (my God, I actually spoke favorably about Ken Whitman in that piece). Additionally, Doug was one of the key members of my "B-Team" adventuring party, a once a month, more or less, delving of Castle of the Mad Archmage. He is also well known as a bit of a GURPS fanatic (and I can say that as a solid Swords & Wizardry fanatic myself.) Doug is one of the more meticulous gamers I know, and I mean that is a good way. I fully expect any project he is involved in to hit the goal post and the some. I came into gaming with the AD&D 1e rules. If you care to think back on that edition of Dungeons & Dragons, you will remember that the unarmed combat / grappling rules were an unintelligible mess. We never used them. We couldn't make heads or tails from them. If my players wanted to go weaponless, I used to tell them they should have made a Monk instead. 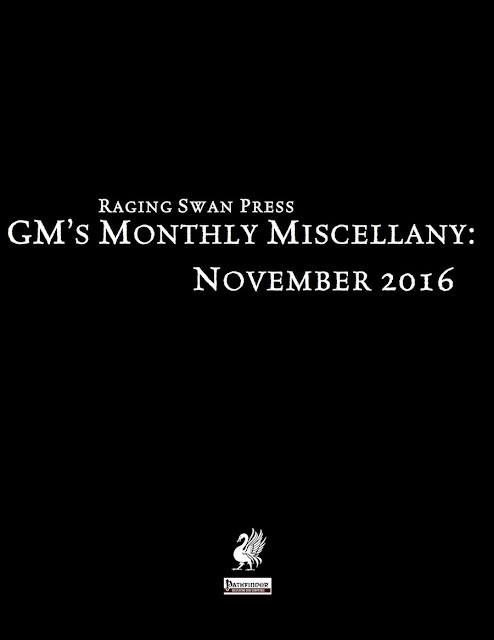 Doug was kind enough to forward me the current rough of Dungeon Grappling. I haven't had time to give it more than a quick glance, but what I have looked at looks good. He even addresses rulesets with descending AC. I'll give this a closer look over the coming week.